On Corner Of St Mary Street. Meter Parking On St Mary. Enjoy easy living at Mountfort Place Condominium. Built in 2005, this building offers central heat and a/c, laundry in unit, an elevator, exercise room and very well run, professionally managed association. Great layout has bedrooms each on opposite sides of the living space. 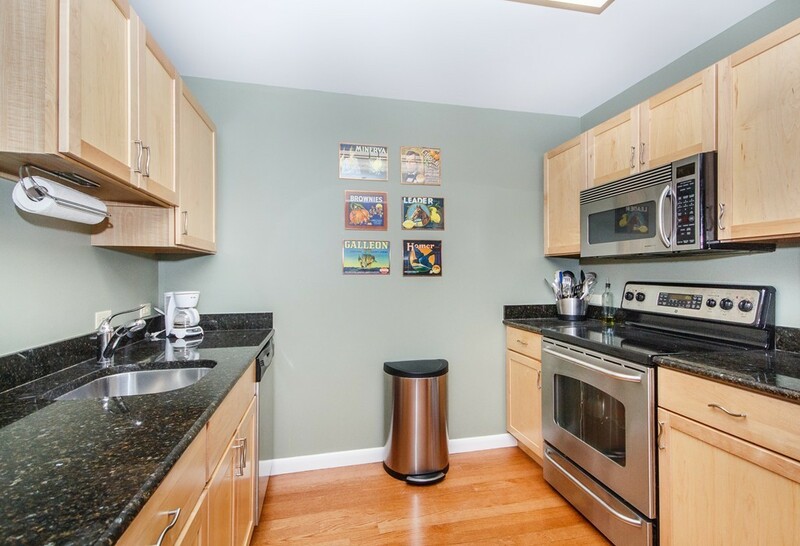 Kitchen offers custom pull-out drawers, SS appliances and granite breakfast bar. Kitchen is open to dining room & living room with abundant sunlight from large windows. Spacious carpeted bedrooms offer generous closet space and great natural light. Bathrooms each offer soaking tub/shower combination. Sound blocking windows make this the perfect home IN the city with EASY access to the T, highways, universities, Fenway, Kenmore Square and a view down the block of iconic Fenway Park. Renting to undergraduate students is prohibited. 1 domestic pet allowed per unit <32lbs. NO SHOWINGS UNTIL OPEN HOUSES FRIDAY, 3/30 4:30-6pm, SAT 3/31 12-2, MON 4/2 4:30-6. OFFERS TUESDAY, 4/3 by noon. reserves right to accept offer anytime.